Pre-orders open soon, Subscribe to stay informed. 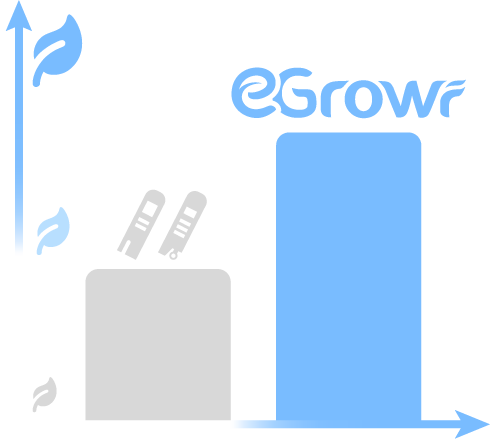 Egrowr send its records to a secured server. 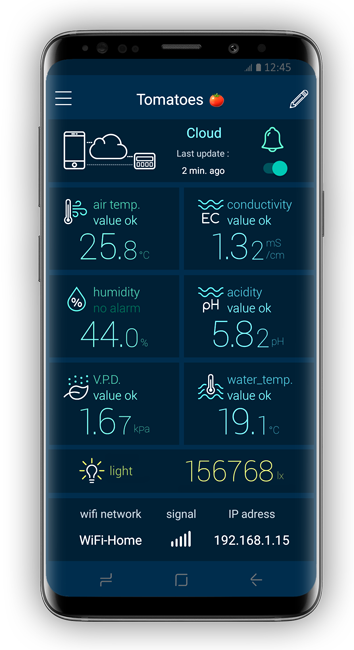 Follow the evolution of your plants' environment in real time. 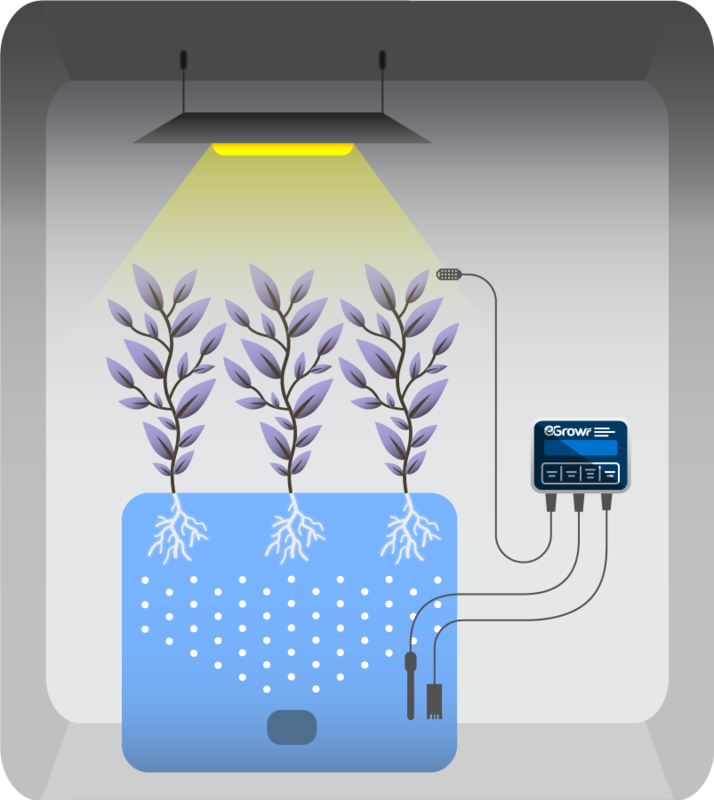 Check the evolution of your plants' environment for the last 24 hours, 7 days or 3 month. Learn and adapt your growing plan. Set up thresholds on mesurements you don't want to be exceeded. 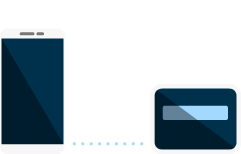 Receive push notifications when a measured value is too high or too low. 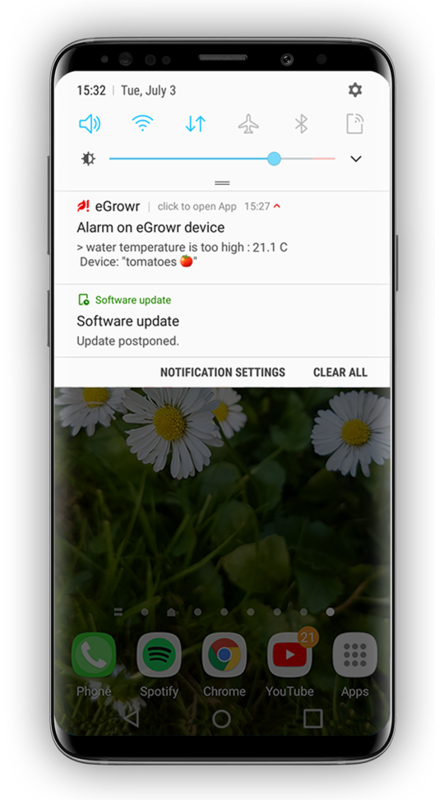 You can save up to 10 Egrowrs and follow all you plants from a single app. Don't waist your time on manual checking of your hydroponic plants. 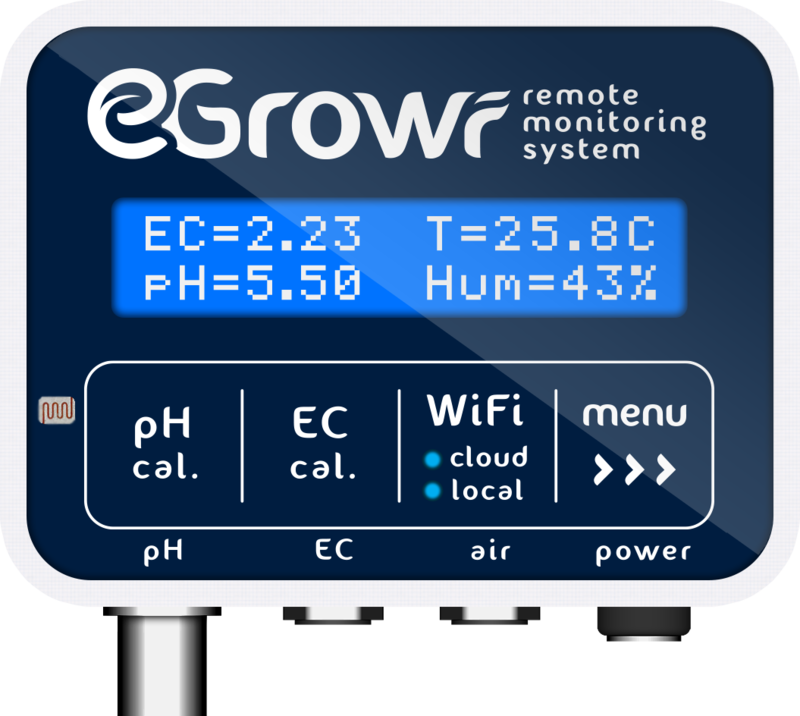 Let Egrowr tell you when you need to act and save precious time. Don't let your plants to grow in a bad environment. By acting at the right moment, you optimize your plants growth and increase yields compared to a manual environment checking. 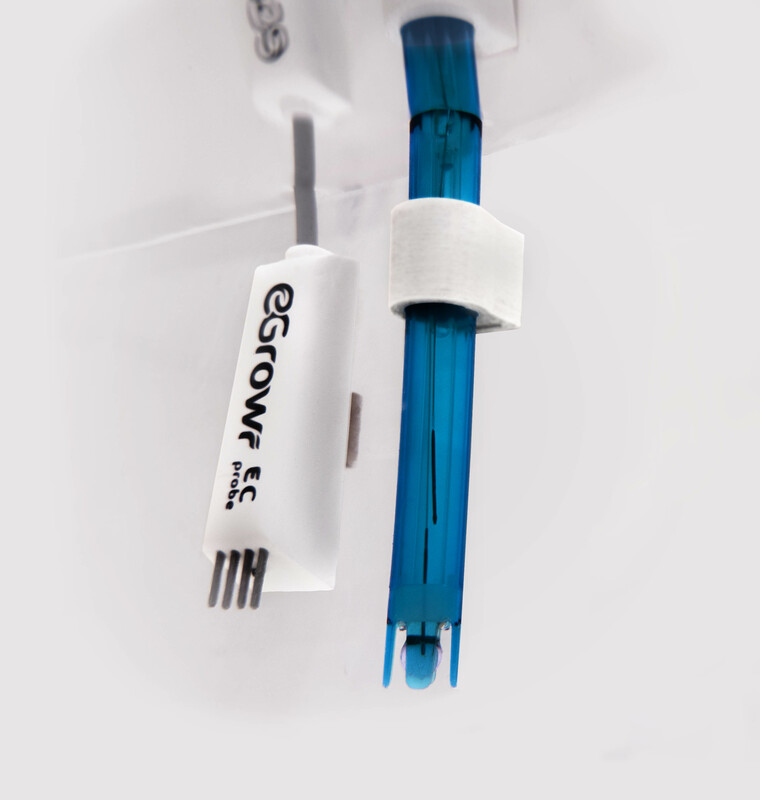 Egrowr is compatible with most of pH probes avaiable on the market with BNC plug. 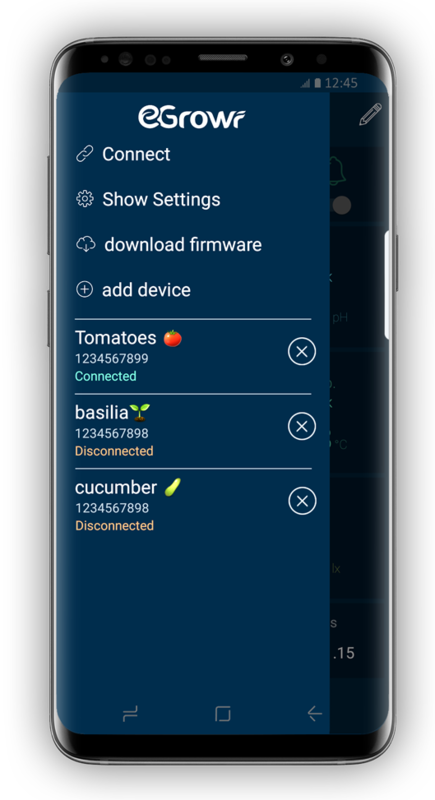 Choose the probe that fits your need the best. 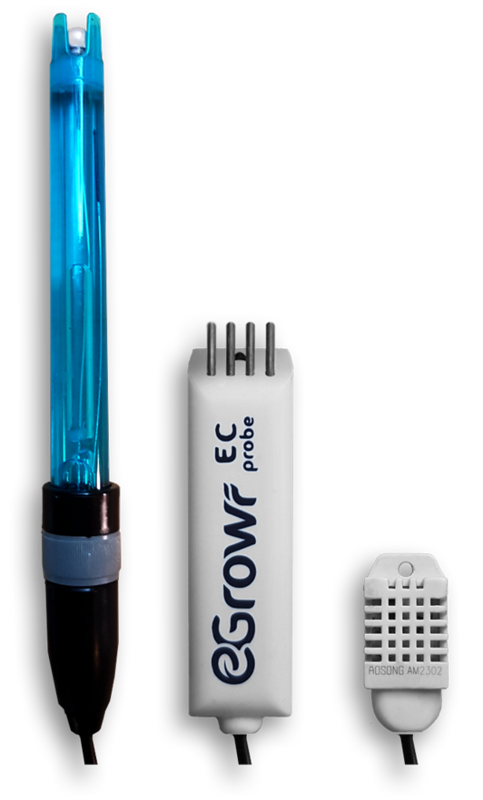 Specially designed EC probe for Egrowr. 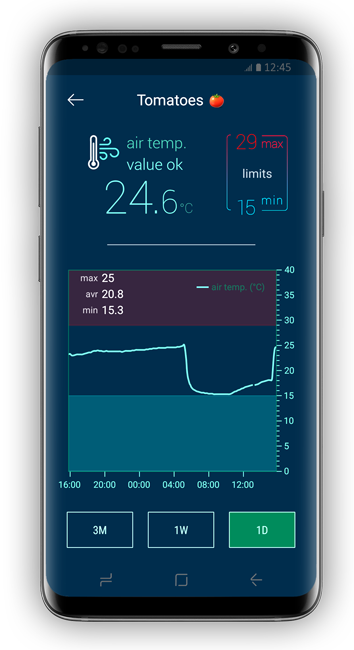 4 electrodes, Reliable, long lasting, temperature compensated probe with a continuous mesurement capabilities. Based on the reliable and accurate sensor DHT22, it has temperature and relative humidity mesurement capabilities. 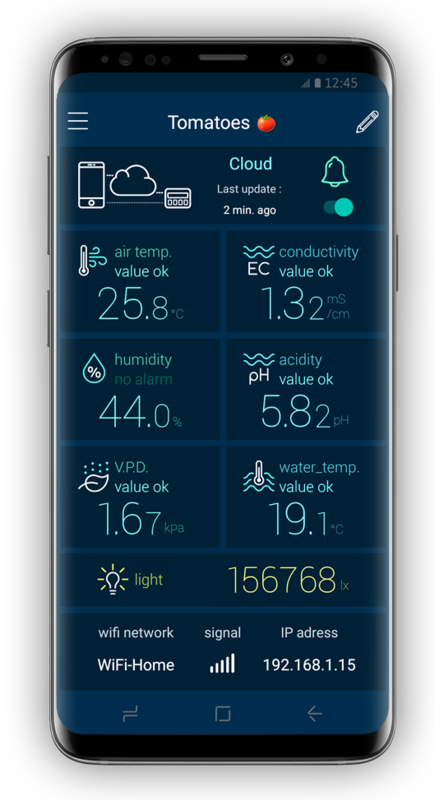 = Conductivity meter + pH meter + thermometer + humitidy meter+ lux meter.